Research shows that there has been a 33 percent increase in positive drug tests on employees. 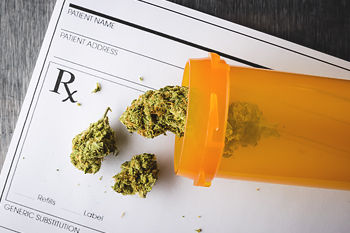 However, with 10 states making it legal to use marijuana recreationally, and 33 states making it legal to use medically, employers might wonder what rights they have when taking a hard line on drug use in the workplace. Wilson says that if you work in a non-unionized environment, you should ask a supervisor or human resources team member to help you determine if an employee is under the influence of marijuana. “If your suspicions are backed up by other leaders in your company, you can discipline and even terminate your employee,” says Wilson. If you work in a collective-bargaining workplace, Wilson says that you should have a series of steps laid out in your handbook that will help everyone understand what the outcome of marijuana use on the job will be. “These steps might include drug testing, verbal warnings, and even requiring your employee to enroll in an EAP program if they want to keep their job,” says Wilson, referring to Employee Assistance Programs which can offer drug counseling for employees struggling with addiction. Wilson says that even though Americans’ rights are changing as it relates to marijuana use, employers can still have a zero-tolerance policy about drug use on the job, even if the employee has the legal right to use marijuana recreationally or medically.